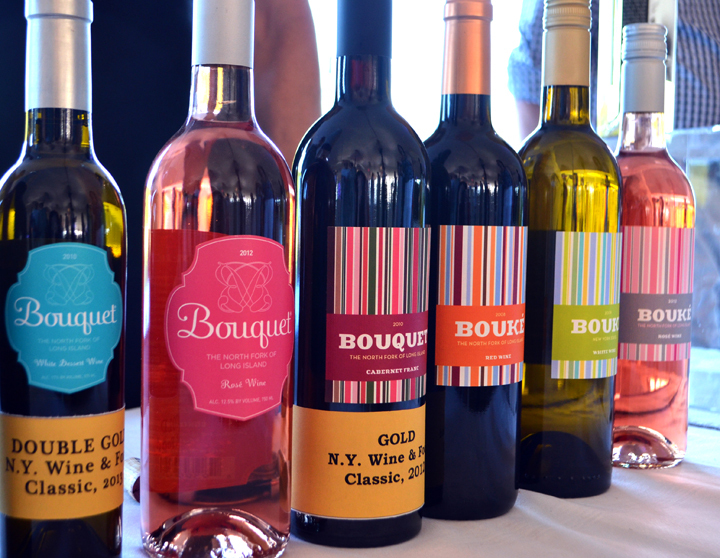 Long Island Wine Country had a lot to celebrate about. 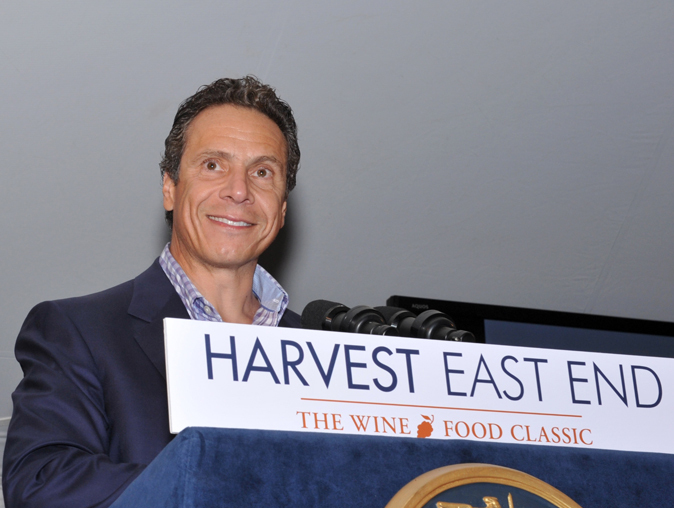 In fact, 1,300 enthusiasts of wine and food, including Governor Andrew Cuomo joyously gathered under a festive billowing tent to raise a glass and cheer for 40 years of winemaking at the 4th Annual Harvest East End at McCall Vineyard & Ranch in Cutchogue New York. The regions farms, fishermen, 34 local top chefs and 43 vintners showcased the bounty of the land, sea and vines. It was the first year that this vinous and edible gala was held on the North Fork of Long Island and how fitting considering two pioneers were honored for giving rise to one of the world’s most exciting viticultural and culinary destinations: Louisa Hargrave co-founder of Hargrave Vineyards (now known as Castello di Borghese Vineyard) for planting the first vitis vinifera grapes with her former husband Alex Hargrave, and John Ross, who established Ross’ North Fork restaurant that featured local wines and grown food that helped ignite the farm-to-table movement on the North Fork; all of which was 40 years ago. The Master of Ceremonies was Joshua Wesson, a leading authority on wine and food pairing, the founder of Best Cellars and author of Williams-Sonoma Food & Wine—A New Look at Flavor that he signed for fans. 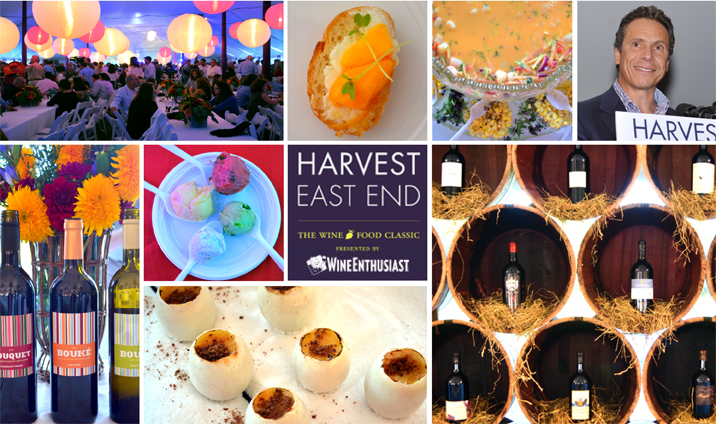 Harvest was presented by Wine Enthusiast Magazine and organized by the Long Island Wine Council with support from Merliance, that benefited four important regional charities: East End Hospice, Group for the East End, the Peconic Land Trust and the Long Island Farm Bureau. And to top it off Out East Foodie has come full circle—It was my first anniversary. Last year’s Harvest East End was my debut where I was introduced to the edible artisans of the East End: chefs, fishermen, farmers, cheesemakers, and vintners to name a few. I am humbled to be surrounded by the people of this region who are passionate and dedicated to their craft or cause. 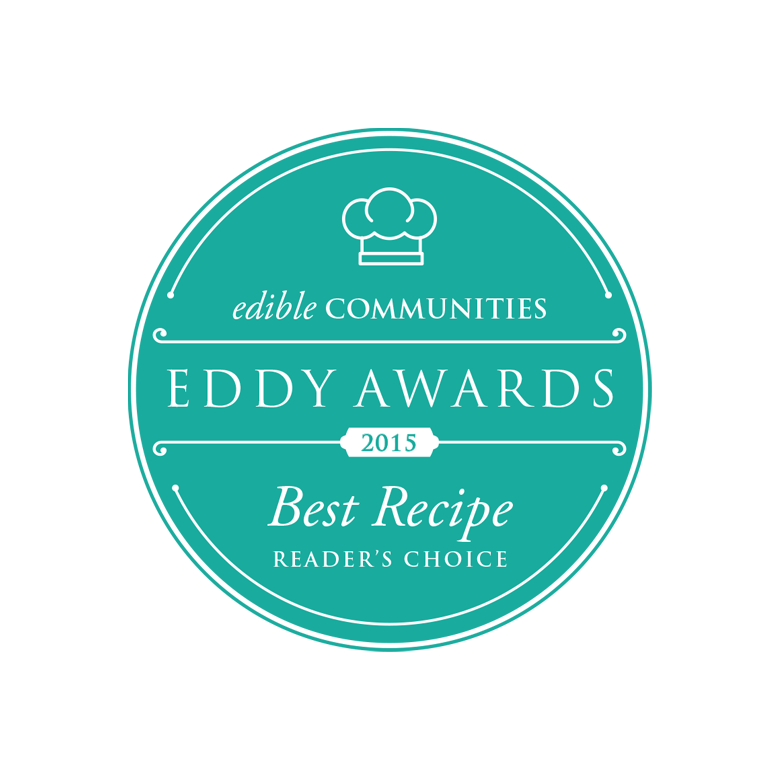 I have told the stories of a few over the course of the year, shared recipes that have been inspired by the bounty of the two forks and am honored to continue to do so. This fall our sustainable home Sheridan Green will be complete. It will be a place where like-minded stewards of the land and sea can come together to talk story, enjoy amazing food and drink and share inspiration in a great space. Guests were given their own personal wine glass that was attached to a lanyard like strap to put around your neck to ease the juggling dilemma between holding a wine glass and a plate of food; thank you Harvest East End for this welcomed convenience as balancing the glass, camera, plate of food, iPhone and purse is a social media hodgepodge. My husband Christopher enjoyed the wine tasting and particularly liked Mattebella Vineyards Old World Blend. Coolfish Grill and Wine Bar served bay scallops mango ceviche; the mango was an unexpected twist. Mirabelle at Three Village Inn served a unique Crème brûlée that was made with duck eggs, infused with vanilla bean and topped with a sprinkle of maple bacon crumble, simply fantastic. 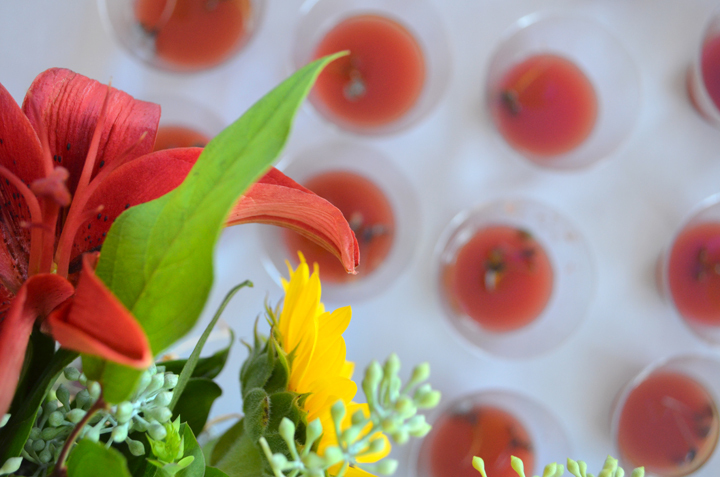 A refreshing and delicious watermelon gazpacho that was garnished with a Koppert Cress micro shiso amongst a beautiful flower arrangement. First and South restaurant may have topped their chocolate covered pork rinds from Dan's Taste of Two Forks. 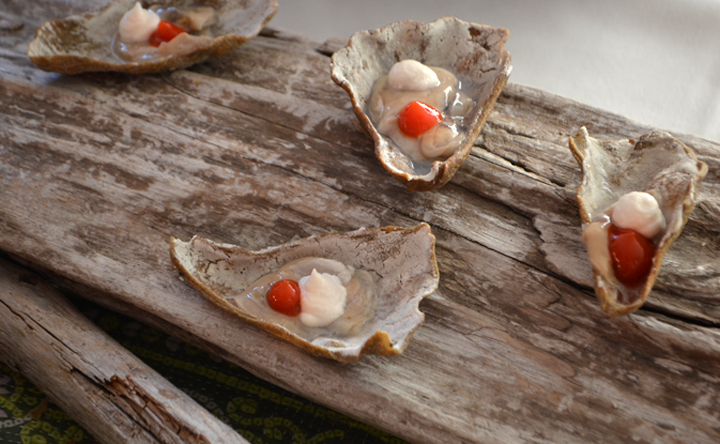 In an oyster shell they baked an edible cracker mocking the shell and placed the oyster, and a dollop of homemade horseradish and ketchup on top, brilliant. The North Fork Table and Inn made a spicy marinated McCall Ranch Beef summer roll with wasabi aioli. This tasted as beautiful as it looked. Gourmet Sorbet by the Sorbabes: Top-strawberry rhubarb crumble (my favorite), Right-pistachio with sea salted caramel, Bottom-coconut chai with macaroons and Left-passionfruit lychee. 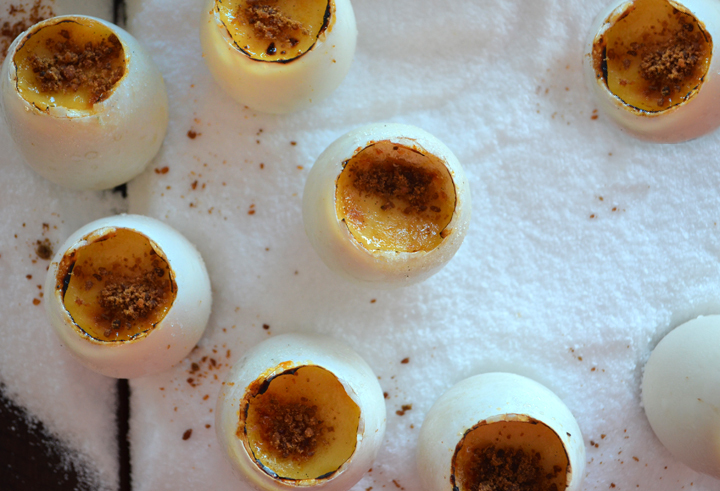 All gluten-free and non-dairy made with seasonal ingredients. 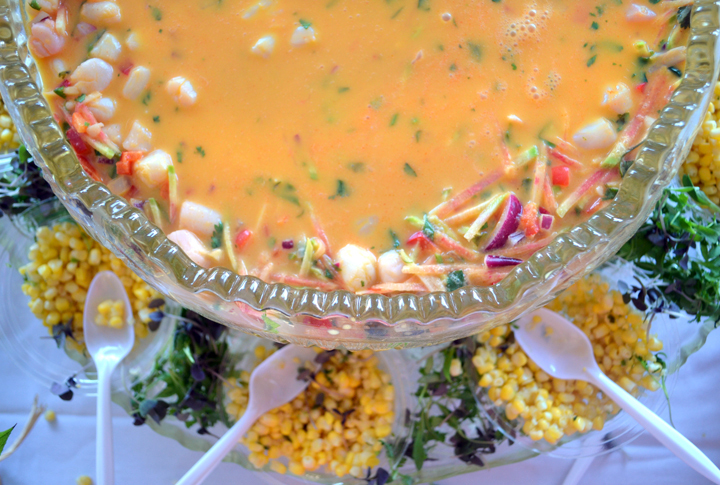 Jewel restaurant by Tom Schaudel served a corn chowder with crab. The balance of this dish was singing the bounty of the two forks, was truly lovely. A Taste of the North Fork made meatballs with cHarissa, hummus and cilantro. The meatballs had a Moroccan flare of interesting spices from the cHarissa, really tasty. To continue with the meatball theme a Mano Osteria and Wine Bar made a veal meatball with a lobster bisque sauce. I was unsure about the veal and lobster combo, but it was a match made in heaven. The heart of the billowing tent was lit up with colorful lanterns, as the VIP attendees sipped older vintages and special selections of East End wines presented by Empire Merchants. Although there was a white picket fence that separated the VIP's from the rest, we all had a few things in common, the love for wine and food in Long Island Wine Country.